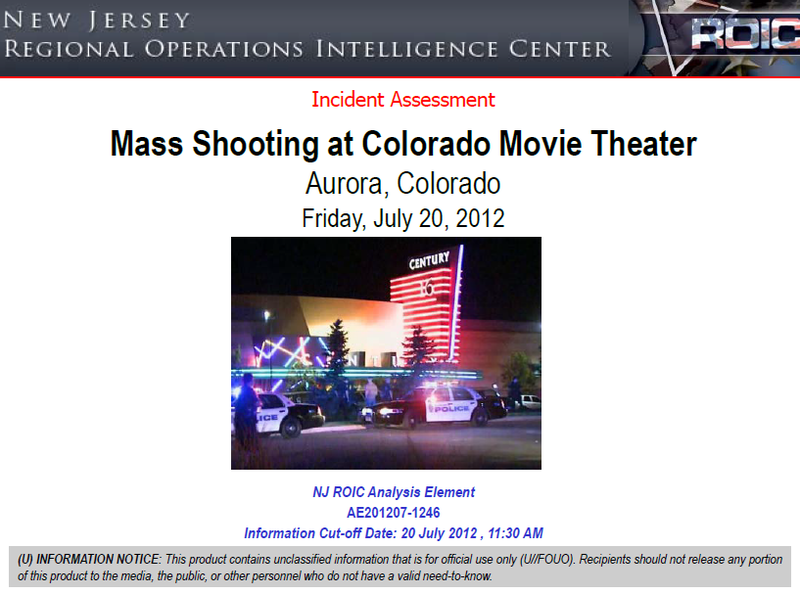 The following incident assessment was produced on the morning of July 20, 2012 by the New Jersey Regional Intelligence Center and posted to a temporary folder on the website of the New Jersey Office of Homeland Security and Preparedness. The shooting erupted during the midnight showing at the multiplex in Aurora, Colorado, not far from Denver, where a large crowd had gathered, some dressed as characters from the highly anticipated Batman sequel. Holmes began the attack by throwing two gas canisters into the theater after entering through an exit door that had been propped open. Witnesses stated many assumed it was a promotional stunt related to the movie and did not initially react. After both canisters had deployed, Holmes commenced shooting into the crowd. 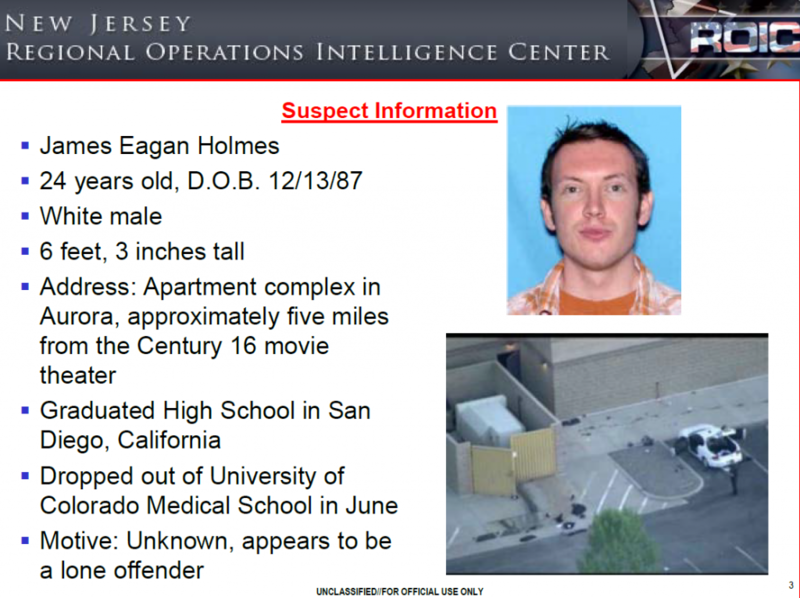 Holmes departed the theater after the attack and was arrested by local police next to his vehicle without incident. Police later recovered a total of 4 guns, including 2 pistols, a rifle, and a shotgun as well as a gas mask. Holmes was also wearing a bulletproof vest. After his arrest, Holmes warned police that his apartment (located nearby in Aurora, CO) was booby-trapped, leading police to evacuate the apartment complex. Current reports, not confirmed at this time, indicate this claim is true as the investigation continues.